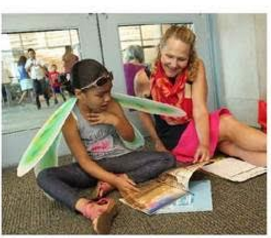 As one of the poster-girls for United Way’s literacy program United2Read, I once again had the pleasure of going to the Yonkers’ public library in New York to find some summer reading buddies. It was amazing and gratifying to see how many kids and how many volunteers were there. The place was a magical madhouse of excited readers, supportive parents and caregivers, and helpful volunteers all buzzing around picking out books. Then kids were paired with volunteers and everyone settled down to read. The Yonkers’ program is such a success that some of the graduates of the program are back assisting the younger participants. We are well-armed to combat the summer reading slide. And best of all, almost every participant checked out some books to take home to continue the fun. 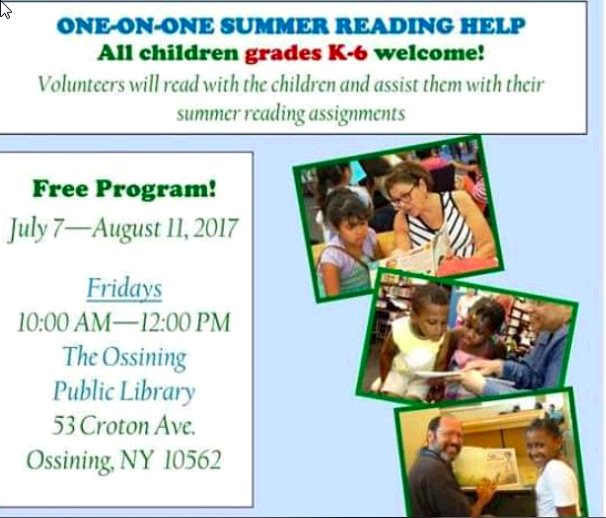 The successful program is expanding: this year the Ossining Public Library launched the same initiative, backed by United Way, The JCY-Westchester Community Partners and the Ossining Public Schools. I hope to see you there next Friday!